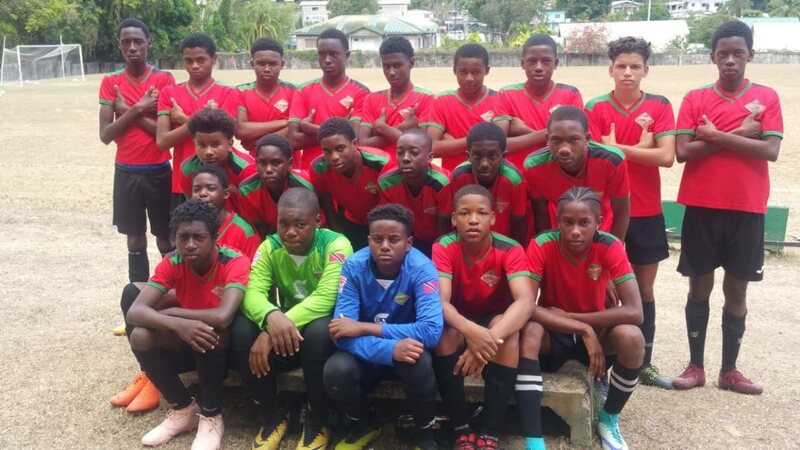 SAN JUAN Jabloteh head into the Easter break top of the Under-13 and Under-15 divisions in the 2019 Youth Pro League, but the young “San Juan Kings” continue their struggle in the bottom half of the Under-17 division. Club Sando are the new Under-17 leaders – albeit only by goal-difference as they are tied on 12 points with Point Fortin Civic – after the Angus Eve-coached bunch defeated Defence Force FC 3-0 on Sunday for a third consecutive win courtesy a first-half double from Kern Cedeno and a second-half strike from Jaden Mc Kree, at the Queen’s Royal College Ground. At the Police Barracks outside field in St James, Kiel Lopez converted from the penalty spot in the 55th minute as hosts Police FC edged Jabloteh 1-0. Jabloteh (three points) are seventh on the Under-17 ladder. Morvant Caledonia United, Central FC and W Connection all on 10 points trail frontrunners Sando and Civic by two points while Police have nine points. Jabloteh Under-13s, though, remained the only perfect team in all divisions after the Keith Jeffrey coached-outfit made it five wins in five with a 3-0 result against their Police counterparts on Sunday morning. Jeffrey was forced to use prolific scorer Thane Devenish in goal but Lindell Sween returned to the squad to bang in a first-half double after his side took the lead through an own goal. Connection (12 points) are closest to Jabloteh (15 points) on the Under-13 ladder after the young “Savonetta Boys” edged Civic 2-1 thanks to Chaz Ford’s sixth and seventh goals of the season to put him level on goals with leading scorer Devenish. Jabloteh (13 points) later moved top of the Under-15 standings for the first time this season after edging the Police 1-0 through an early Kyle Dwarika strike. Terminix La Horquetta Rangers (12 points) also made upward movement to occupy second on the Under-15 standings with a 2-0 win over visiting Morvant Caledonia United after their U13 teams played to a 1-1 draw. It was the first loss of the campaign for Morvant Caledonia Under-15s and first goals conceded when Isaiah Raymond and Jadan Clarke struck early for Rangers. But Morvant Caledonia had the last say, whipping hosts Rangers 3-0 in the Under-17 division at the D’Abadie Recreation Ground. Jardel Mitchell, Naeem Bisnath and Aden Lynch scored a goal each for the Jerry Moe-coached Morvant Caledonia. Youth Pro League play will resume on April 28 when Club Sando host Morvant Caledonia United and Defence Force FC welcome Central FC. North East Stars must visit W Connection, Terminix La Horquetta Rangers travel to Police FC and San Juan Jabloteh return home to welcome Point Fortin Civic. Reply to "Jabloteh, S’do hold top spots"